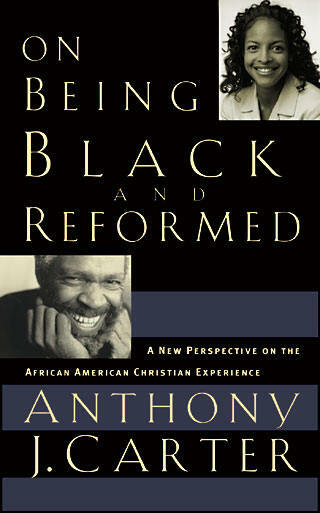 The wise and gentle and powerful African American preacher Anthony Carter, author of On Being Black and Reformed spoke, inviting CCO to dig deeper into their Calvinist roots, relying on God’s sovereign grace and the creedal tradition of the Reformation in order to root well their equally important efforts to work on ethnic diversity, racial reconciliation and becoming advocates for social justice. Carter was too young to have worked with the civil rights movement, so is a new generation of black leader, and his trust in the providence of God and desire to glorify Christ was palpable. His impeccable theological standards made him a very, very compelling speaker as he invited us to learn or remember the hidden history of minorities within the dominant culture. Although passionate about preaching reconciliation, and doing God’s work in God’s ways, he advised that we allow God’s Spirit to guide us into our own needed repentence before crusading on social issues. (That is a strategy, by the way, which, on the face of it, is nearly self evident; on the other hand, I detected a frustrating invidualism and pietism there that didn’t sound like the broad and socially engaged Calvinism I know.) I got to do some book plugs and promoted the obvious–John Perkins, Vincent Harding, Martin Luther King, Carl Ellis and the like. Do you know Randy Woodley’s Living in Color: Embracing God’s Passion for Diversity? Or More Than Equals by Perkins & Rice? Or Barbara Salter McNeil’s The Heart of Racial Justice? These are the kind of resources this CCO group uses. It is a serious privilege to hang out with those who have radically gospel-based theology and equally radical commitments to cultural diversity and racial justice. Speaking of which: I did not stand up and shout about this small Advent meditation book and I should have; I can’t believe I haven’t blogged about it sooner. The Advent of Justice is always the holiday book we tout the most. It is thoroughly rooted in the longing for liberation described in the Bible during the period of exile of the Old Testament Hebrews, and works well with the social context of the seasonal readings from Isaiah and the prophets. It is therefore truly solid, liturgically and theologically, for the Advent season and not the least bit sentimental. (Okay, put some sweet instrumental CD like The Gift by Tingstadt and Rumble on if you want sentimental.) The four authors are all dear freinds, and among those whom I admire most: Brian Walsh, Sylvia Keesmaat, Mark Vander Vennan and Richard Middleton. They put these seasonal reflections together as a gift for the Citizens for Public Justice (a faith-based, progressive social ministry in Canada) a few years back and it has subsequently been re-issued each year by Dordt College Press. It is, I believe, the best and most Biblical Advent devotional I’ve ever used, and I dip into it each year. It reminds us that these religious holidays of ours can best be understood when framed by the socio-political understandings of the orginal. This book, Advent of Justice, does this with care and brillance. Oh come, oh come Immanuel…yes, come Lord Jesus! This time of longing for Christ’s regime can be deepened and more properly understood by using this brief, inexpensive devotional. It is not too late to order it. Although passionate about preaching reconciliation, and doing God’s work in God’s ways, he advised that we allow God’s Spirit to guide us into our own needed repentence before crusading on social issues. (That is a strategy, by the way, which, on the face of it, is nearly self evident; on the other hand, I detected a frustrating invidualism and pietism there that didn’t sound like the broad and socially engaged Calvinism I know.) Hi Byron,I’m confused by what you mean by this observation. Could you clarify? Thanks! Mern,Thanks for your good quesiton. I just spent over a half an hour answering—maybe it is your good fortune, but the whole thing disappeared. (This posting comments is a bit tricky, I’ve found. )I HAVE to get back to work, so can’t do it all again. Sigh. But I will reply as it is a very, very important question. Which part most interseted you? How did you find our site?? Eager to stay in conversation about this, but gotta go. I am so frustrated as it is gets at much of what I think is central to our concerns here. What is the relationship between personal renewal and social change? Does Christ’s Lordship cover just people or whole nations? Is faith firstly personal and only secondarily social? How does the Calvinist tradition (Calvin was called “a constructive revolutionary, you know) and especially the Dutch tradition of Abraham Kuyper who emphasized the Soverign grace of Christ not only over salvation (5 points, say) but over the whole of life. Kuyper talked about a Christian viewpoint on art, science, education, commerce, politics and the like. These concerns come to mind when thinking about the advice to work on our own personal issues first and then, later, eventually (maybe) get to becoming salt and light and agents of God’s creation-wide and multi-faceted social transformation.As I said, I wrote way too much before, but hopefully I can share some little bit more later. Sorry to be unclear. Thanks for asking.